Product prices and availability are accurate as of 2019-04-24 03:53:03 EDT and are subject to change. Any price and availability information displayed on http://www.amazon.com/ at the time of purchase will apply to the purchase of this product. The ECR4Kids Natural Bentwood Multipurpose Kids Table and Chair Set is an adaptable furniture set with versatile pieces that can be used as tables, chairs, stools, or shelves. It features a lightweight table and chairs with built-in handles for effortless transportation. It’s just the place for little ones to meet for story time, play, and more. 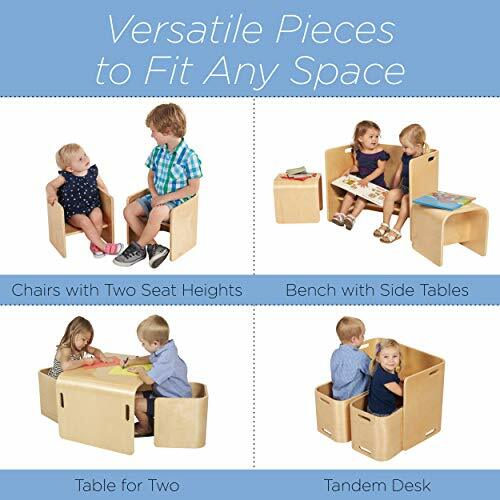 Our kids’ table-and-chairs set is perfect for home, daycare, or school use and features a contemporary design, with one large piece that can be used as a bench, desk, or traditional table. Both the table and the chairs feature an attractive natural finish with built-in handles to change their configuration or move them from room to room. 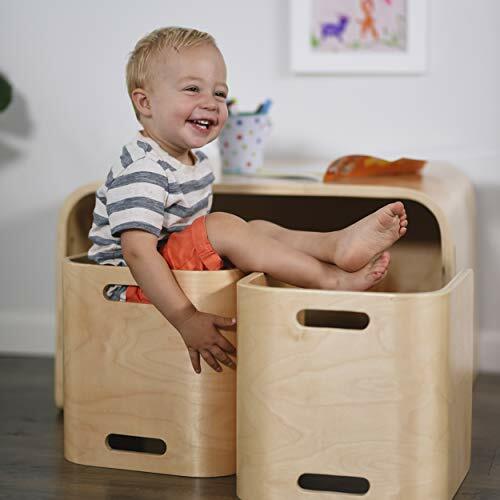 It’s the perfect set to keep at grandparents’ homes or other locations where children spend quality time. 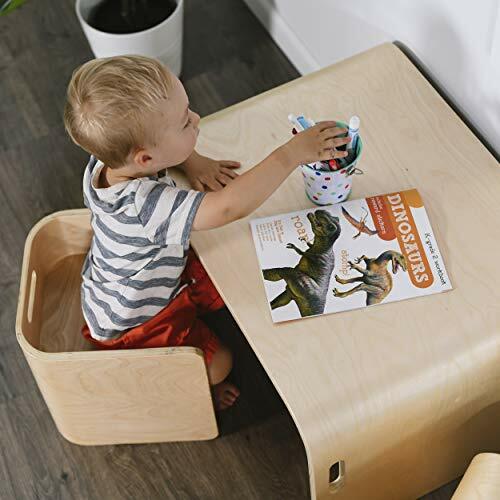 Our toddlers’ table set is made of high-quality durable bentwood and assembled to precision manufacturing standards. 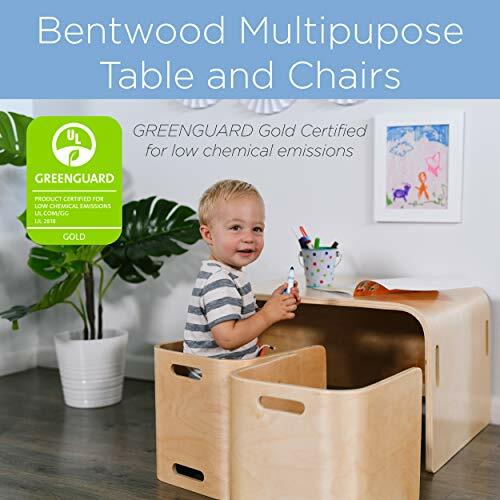 The ECR4Kids Natural Bentwood Multipurpose Kids Table and Chair Set has been GREENGUARD [GOLD] Certified for minimal chemical emissions into indoor air and designed with rounded plastic edges for safety. 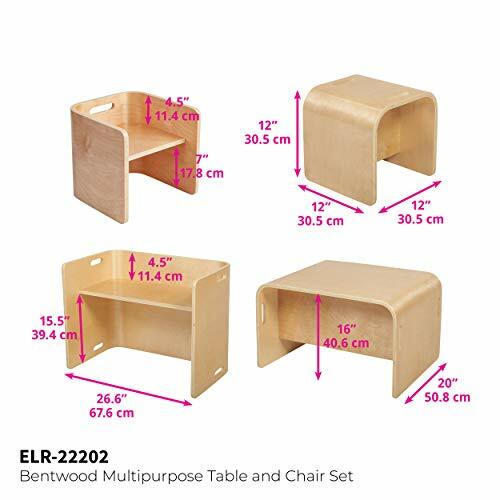 ECR4Kids makes it easy for parents and schools, as this table-and-chair set is shipped fully assembled. The table measures 26.6? W × 16? D × 20? H; the chairs measure 12? W × 12? D × 12? H. The chairs slide under the table or desk for storage when not in use. 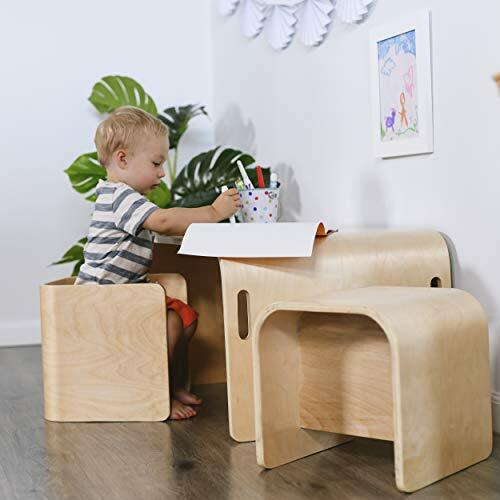 The ECR4Kids table and chairs are fully assembled and intended for use by children ages 2 and older. ECR4Kids is committed to enhancing education in the classroom and at home. We specialize in a wide range of high-quality educational furniture and supplies. We’re your partner for pre-K and beyond.